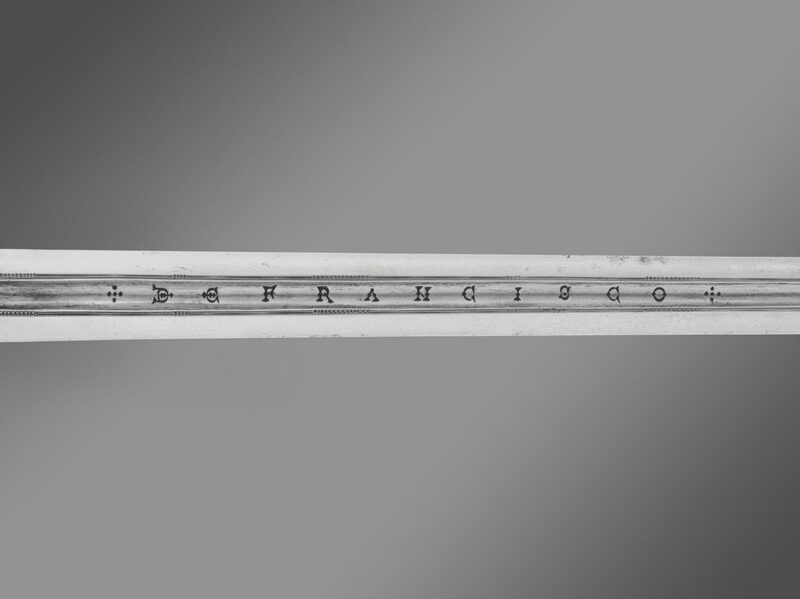 Hilt made by swordsmith Francesco Maria Rivolta, Italian (active Milan), documented 1678. Blade made by bladesmith Francisco Ruiz the Elder, Spanish (active Toledo), active 17th century, or bladesmith Francisco Ruiz the Younger, Spanish (active Toledo), active 17th century. By the early sixteenth century a European nobleman customarily wore a sword while in civilian dress. 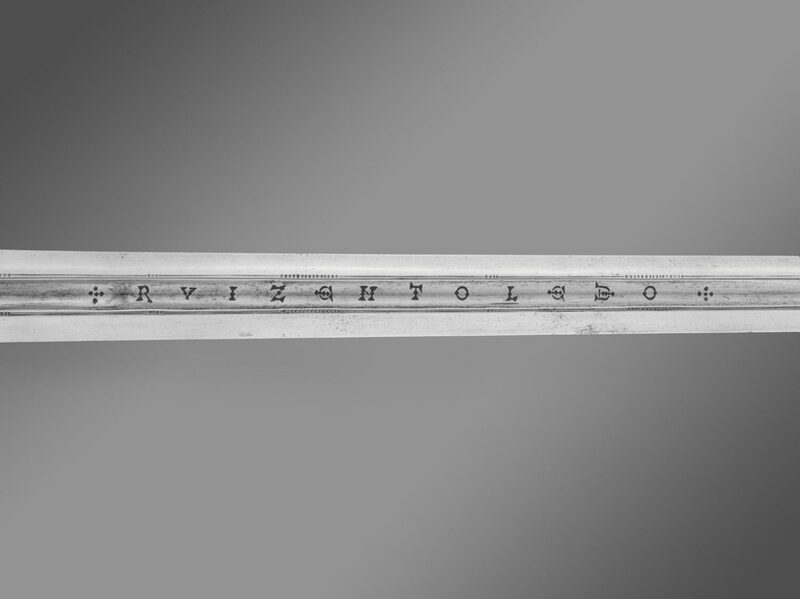 To defend his unarmored hands, more protective sword hilts were developed, which, when fitted with a narrow blade intended for thrusting more than cutting, became known as a rapier. This lethal weapon was also the most prominent accessory to a nobleman's costume and therefore was fashionably decorated. 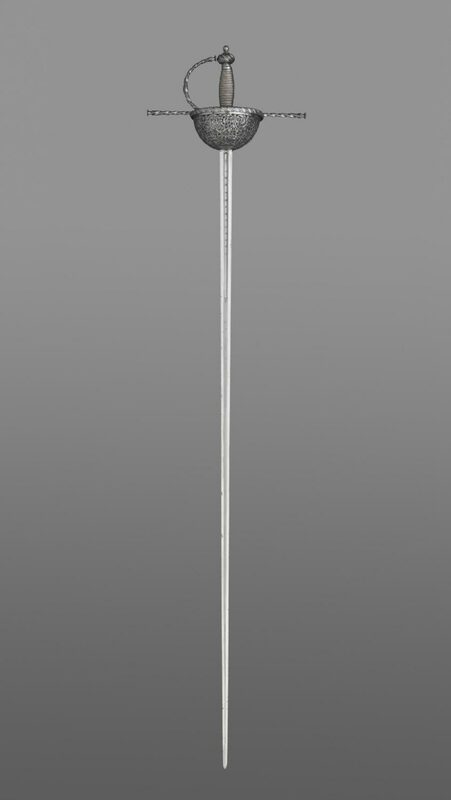 By the seventeenth century the use of rapiers was being taught in several styles, or schools, of fencing. 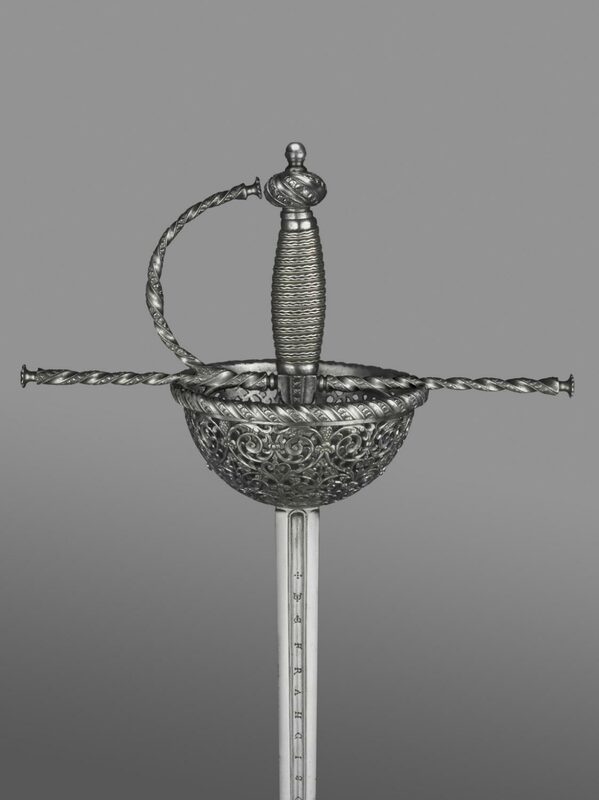 The Spanish school favoried a characteristic type of cup-hilted rapier used with a left-handed dagger. It was practiced not only in Spain but also in areas under Spanish rule, such as the Kingdom of Naples and the Duchy of Milan. This ornate example is signed by the Milanese swordmaker Francesco Maria Rivolta. Its sturdy steel cup is chiseled with a swirling floral design that shows the strong influence of contemporary metalwork from Brescia. 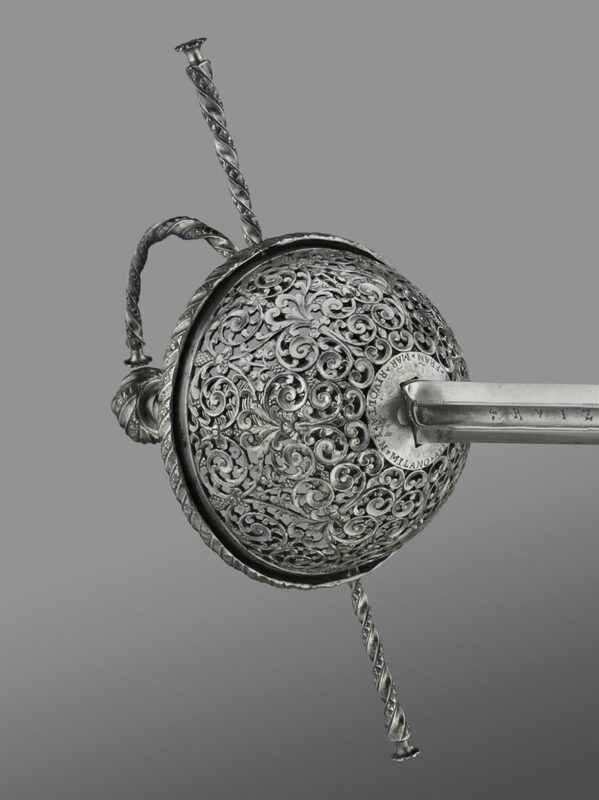 Cup-hilted rapiers remained popular in Spanish territories until the late eighteenth century, long after the us of rapiers had gone out of fashion elsewhere. Donald J. LaRocca, from Philadelphia Museum of Art: Handbook of the Collections (1995), p. 137.